It’s impossible to imagine, but in 2010 you could walk down the street without wearing headphones. The human right to be offended was merely a glint in the eye of a yet-to-be-triggered weaponised feminist. Gender wars, virtue signalling, authoritarianism disguised as progressive liberalism, narcissism disguised as body positivity warriors, competitive puritanism and faux pathological do goodery were not yet de rigueur. We’re nearing the end of the 10s, and culturally there’s a massive gaping hole where a positive movement should be. This is despite the world in general, especially the developing world, being the best it’s ever been, according to HumanProgress.org. The average life expectancy is 72 – or over 80 here in Ireland – compared to just 30 in 1900. We’ve made advances in medicine, health and technology, beyond our wildest imagination, but let’s face it, history will look upon it as a wasteland. The trouble is offence culture, victim culture, censorship culture and most strikingly tech culture have defined the past nine years. Sadly, drones, AI, social media, airbrushing, online-dating sites, blogs, memes and apps, which so dominate our lives, do little to enrich our souls. It may seem like a lifetime ago, but in 2010 we didn’t have Brexit, #MeToo, climate change or President Trump to get riled up about in Twitter wars. Ten years ago people ate gingerbread men and used man-sized tissues and got on with their lives. Someone could leave a big tip in Baton Rouge, Louisiana, without the rest of the world knowing about it on social media. Microchipping and creating human beings on computers had not yet unleashed the fear of a dystopian reality. In Ireland, people could rent homes in urban centres and the homeless crisis, as we know it, was yet to be. Looking back, it seems like nirvana. It was the cusp, before social media hegemonised every aspect of our lives. Things which were special and underground would never be so again. But being addicted to technology will only serve us to an extent. 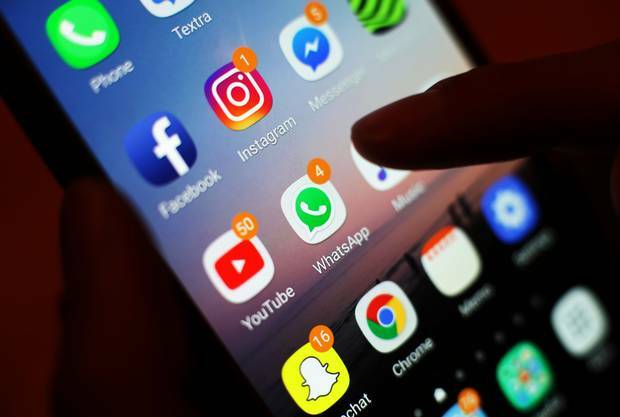 According to a survey by the University of Pittsburgh, people who go online more than 58 times a week are more isolated and overly stressed than people who view it just nine times a week. The world is becoming smaller, but things move pretty quickly and everything will change again. I live in hope the 2020s will be better. A nod to the 1920s perhaps? I’m not averse to flappers, speakeasies, jazz and a flagrant disregard to conform. Maybe we’re in line for another cultural revolution, and dare I suggest, musical revolution, which brings about changes in fashion, society and daily life. Maybe the fact that there hasn’t been a new genre of music since the late 1980s early 1990s explains why we’re so culturally bereft. Friedrich Nietzsche said: “Without music, life would be a mistake.” Remember the youth movement that dance music created, the freedom people found at underground clubs and raves? The way it brought people together, as opposed to made them feel depressed and isolated. Each decade that came before it had a musical movement. The 1950s had rock’n’ roll, in the 1960s, the Beatles changed the world, the 1970s brought glam rock and Bowie, disco and R&B, the 1980s brought dance and pop. In the 1990s, house music took over the world. We’ve seen an extension of genres, but nothing new. I ponder if, in this technologically consumed world, it’s even possible to regress back to a simpler time where music is everything? If not then how will humanity survive in a tiny world, consumed by technology? I’m not in a position to think of something myself, but wouldn’t it be wonderful to have something to bring people together rather than isolate them as social media and technology can? For some reason, in Dublin, and across Ireland, theatres of dance have disappeared to our detriment. Our city centres are flat. Luckily, all is not lost. Things, as we know change quickly. We must live in hope.